Don’t eat dessert (tiramisu) a few hours before working out, especially when it’s heavy because it tends to stay in my tummy and make me feel sick and not able to workout as well as I normally would. Keep portions smaller and if I don’t feel full or satisfied after eating, I can add on more. Wear gloves during weight lifting. 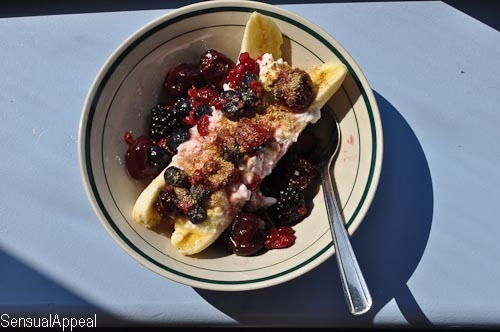 Don’t eat a sweetened pre-prepared yogurt granola parfait for breakfast. 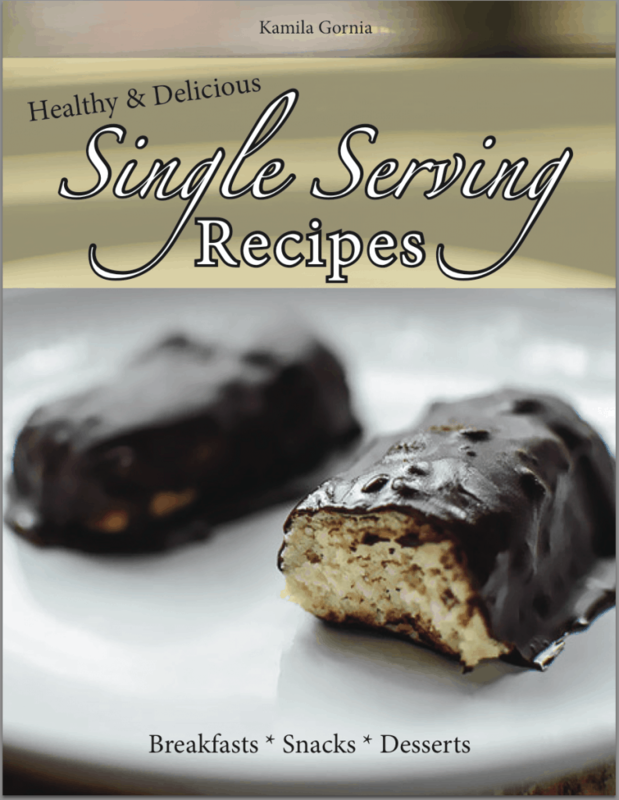 Don’t eat too much sugar-free chocolate. Don’t eat roasted garlic vegetable medley with hummus and spinach wrap from the cafeteria, it never sits well with my stomach. So obviously these are my own notes that apply to my own body, everyone’s bodies are different so don’t go off of what I wrote for yourself. The point is, you should write stuff down and learn about your body as well. It’s helpful. Anyway, today I had a pretty delicious breakfast. I didn’t feel like having eggs as usual and went the sweeter route. 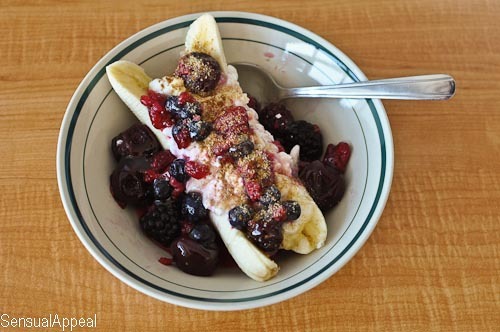 Healthy Banana Split! For breakfast! Amazing. High protein and and adequate carb, perfect for a post-workout breakfast. 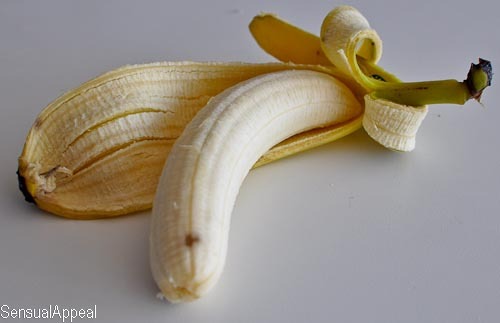 Bananas are also an energy fruit. 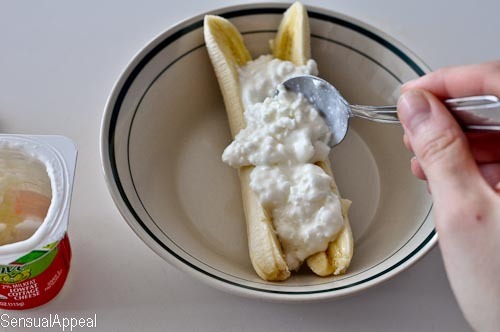 Add scoops of cottage cheese on top of the banana. 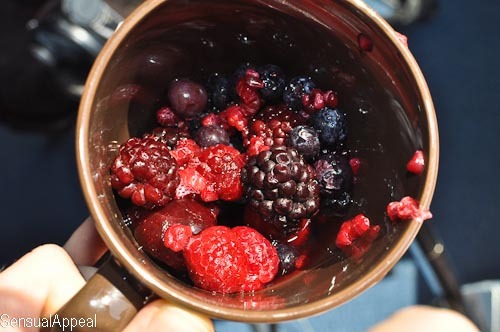 Take your frozen berries in a tea mug and put warm-hot water in (from the sink). Rinse it out with your hand over the top of the cup and repeat a few times to soften up the berries. After two or three times of doing this, rinse the water. There should be a tiny bit of water left over in the bottom of the cup which is perfect because it turns into a nice berry sauce. 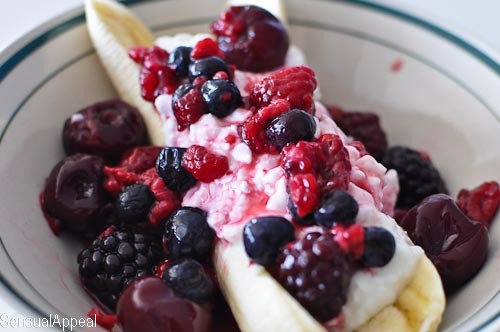 Put the berries on and around your cottage cheese. Sprinkle the top with ground flaxmeal and drizzle with honey. Delicious and nutritious breakfast. Ate it right up! Yumza. What is your favorite topping in a banana split (the dessert)? 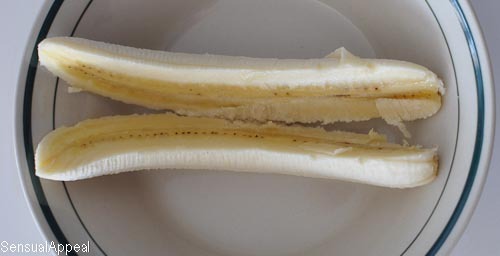 How often do you eat bananas for breakfast? Wow, to be honest, I haven’t even though about washing them. Ooops? They aren’t smelly though! lol I should probably get on that. 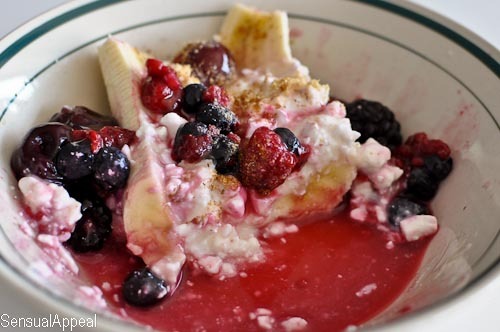 What a healthy week you’ve had.. and I love the healthy banana split idea! Nom.. I’m still trying to find the ideal snack before working out in the morning!